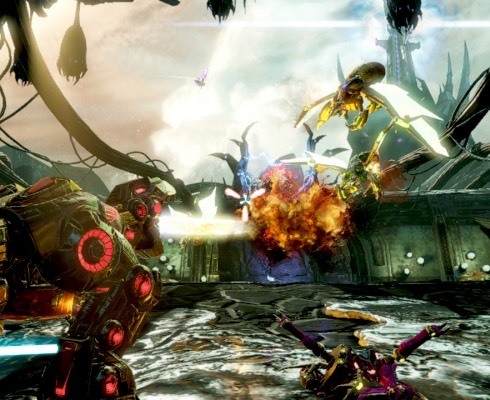 I can’t believe that in just half a day, I have managed to complete Transformers Fall of Cybertron on the Xbox 360. Although there are many enjoyable elements and improvements over the original title, the sequel falls short of providing some of the essential ingredients – with one area in particular causing much concern and disappointment. 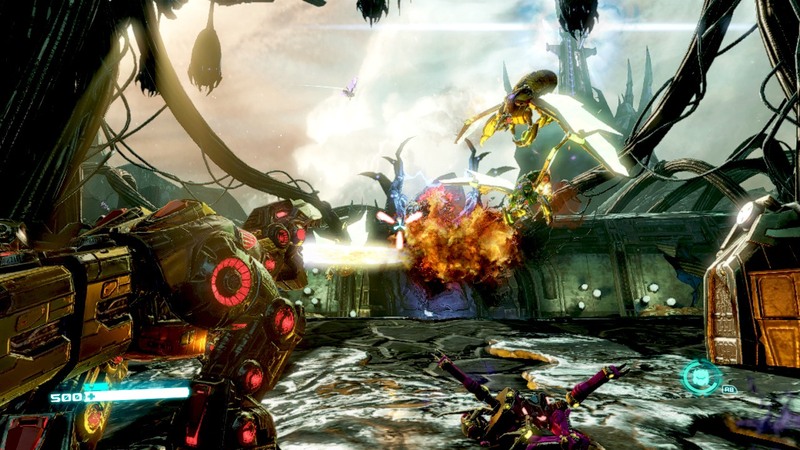 When Transformers War for Cybertron released, it was a breath of fresh air. 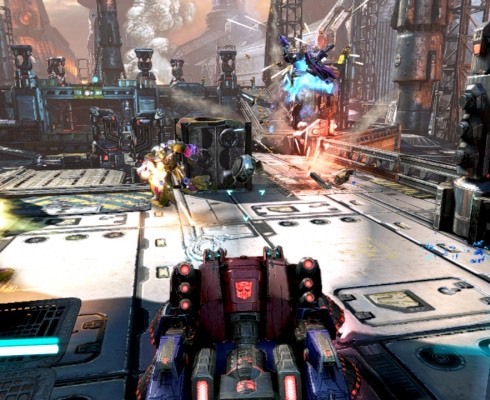 Finally a Transformers based game that actually deserved high praise due to its impressive presentation, fun multiplayer modes and of course the nostalgic trip down memory lane for fans of the toys, cartoon series and films. 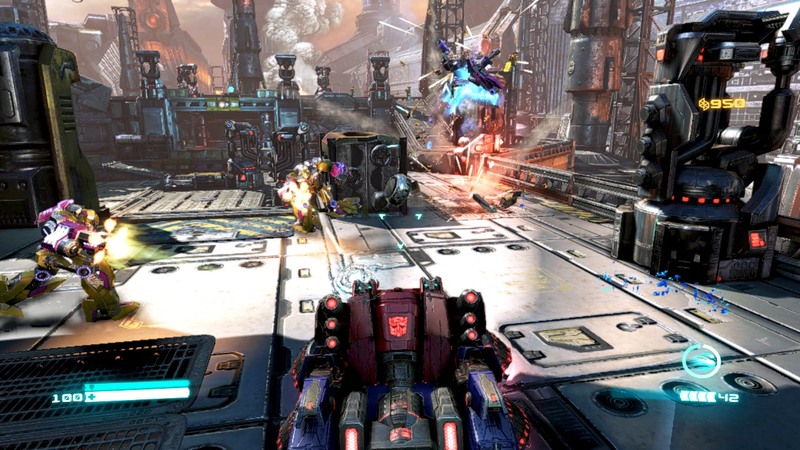 Unfortunately, the sequel Transformers Fall of Cybertron just doesn’t quite deliver the same rewarding gaming experience that its predecessor managed. 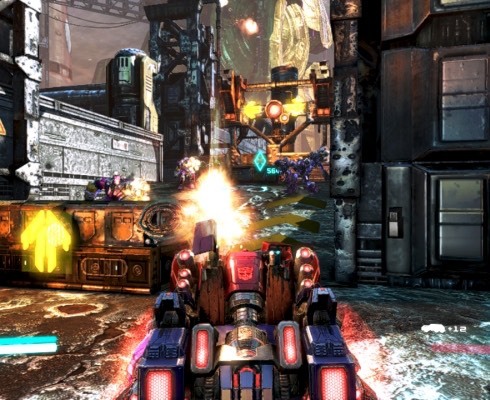 There is one crucial part of any Transformers game, that being the art of transforming. 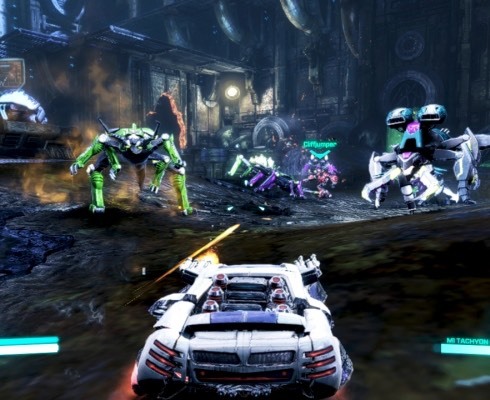 Within the first title, the environments felt much larger therefore transforming to the vehicle mode was essential to navigate around obstacles, avoid enemy attacks and to traverse large sections far quicker than on metal foot. Don’t expect much of this in the sequel, where most of your time seems to be spent in robot mode pulling switches, destroying objectives and sneaking up behind enemies. It doesn’t totally spoil the experience and I have enjoyed the single player campaign regardless, yet it could have been so much more impressive. 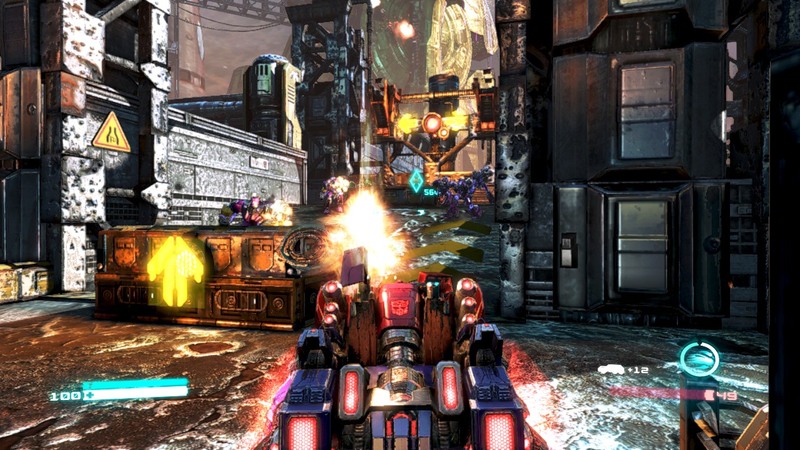 The visual presentation has certainly taken another step forward with lovely little touches of graphical features to admire as you rampage through the sections as either Autobots or Decepticons, although the frame rate has dropped below a comfortable level from time to time more frequently than I would have liked. Co-operative mode within the campaign is sadly no longer part of the game, which is a puzzling omission considering that was for me one of the main highlights of the original. Grimlock and the Dinobots feature during the latter stages, with Grimlock taking a prominent role in the destruction. Once you have slaughtered enough foes, then and only then are you able to transform into his Dinosaur mode. This is great fun as you bite, stomp and breathe fire at anyone who dares get in your way. Shockwave also makes an appearance, although I am not really keen on the voice chosen to represent him. Maybe having loved the original cartoon series so much, my expectations are tainted somewhat as it just doesn’t fit for my personal tastes. No doubt though it is within the online multiplayer element where my attention will now reside for the next several months as the single player campaign felt scarily short and although I will no doubt play through it again to relive the experience, I am a little saddened at its lack of content. 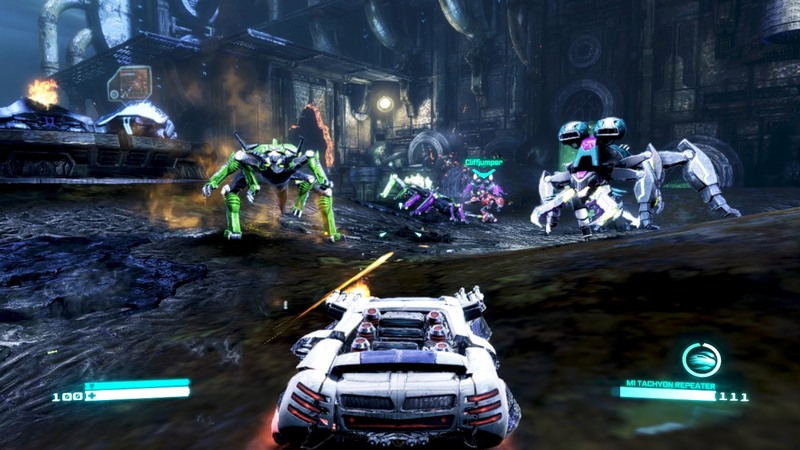 All in all, Transformers Fall of Cybertron is a sequel that builds upon much of what the first title introduced and somehow loses its way a little by forgetting that Tranformers are meant to by definition… Transform!